PlayDome returns for Spring Break as Western Canada’s largest indoor carnival, running for six fun-filled days with carnival rides, games and sweet treats. It will host over 45 rides and attractions all under one roof, providing tons of indoor family fun. Ride Alien Abduction, Mini Jets, the Sizzler, Tornado, Sooper Jet Coaster and more! *excluding GST. All fees included. For groups of 10 or more contact: Group Sales at 604 252 3663 or groupsales@pne.ca. Find more information phone (604) 669-2300. 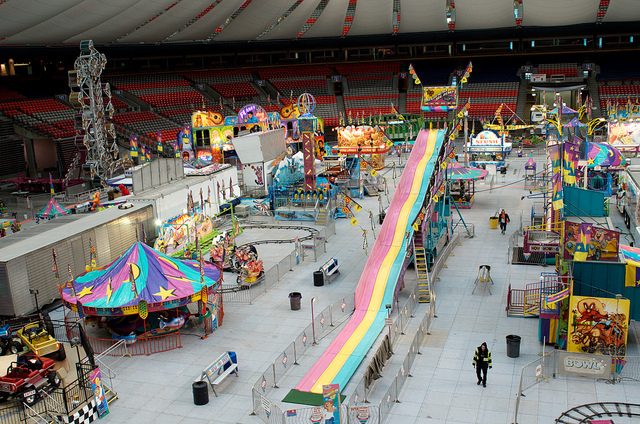 Follow BC Place on Instagram, Facebook and Twitter following the tag #PlayDome for updates. This would be a Great prize!! !